Cell phones and Wi-Fi are now the normal part of life. It is rare to see any adult without a smartphone and a home without a Wi-Fi connection. 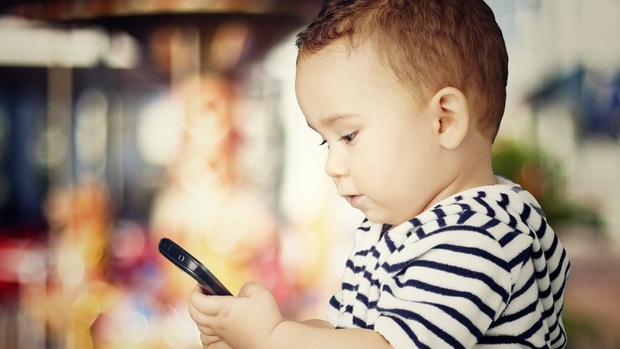 Children are getting more familiar with gadgets and many are actually possessed of using them. However, research by the team of scientists at the Department of Physiology and Cellular Biophysics at Columbia University found that exposure to these devices, especially at a young age, can have bad consequences.These devices emit radiation in the form of radio-frequencies which is absorbed by the body tissues. In 2011, the World Health Organization (WHO) stated that this type of radiation may cause cancer. Children’s brains absorb more radiation as compared to adults’. According to study conducted by the researchers in Switzerland and France, the bone marrow in a child’s head absorbs 10 times more radiation than that of an adult. Toddlers and babies absorb even more. This means that frequent use of these gadgets results in more radiation exposure and absorption in young children. Must Read: About our School Section. If you are worried about your family members being exposed to radiation from electronic devices, there are several actions you can take. It’s a good idea to set timetables to limit tech use for yourself and your family members. You should turn off your gadgets at night or when they are not in use for longer periods of time. Moreover, it’s important to monitor your child’s screen time. The American Academy of Pediatrics (AAP) recommends that children 2 to 5 years old should be limited to one hour of screen time per day. Older kids age 6 and up can have restrictions based on parents’ preferences, while infants 18 months and younger shouldn’t have any screen time. Must Read: Find More in our Parents Corner. People carry their cell phones in their pockets, hands and even their bras. Be aware of how long and how often you carry your gadgets near your body. You should also avoid sleeping with your mobile device in your bed or next to your pillow, particularly on a regular basis. If your cell phone is powered on and not in use, it can still emit radiation. I've seen many keep their Wi-Fi connections, and other Gadgets powered on while they are sleeping. Make it a habit of turning off your wireless router during the night, as well as your cell phone, tablet and other mobile devices. The fewer devices you have powered on in your home, the lower the risk of exposure.